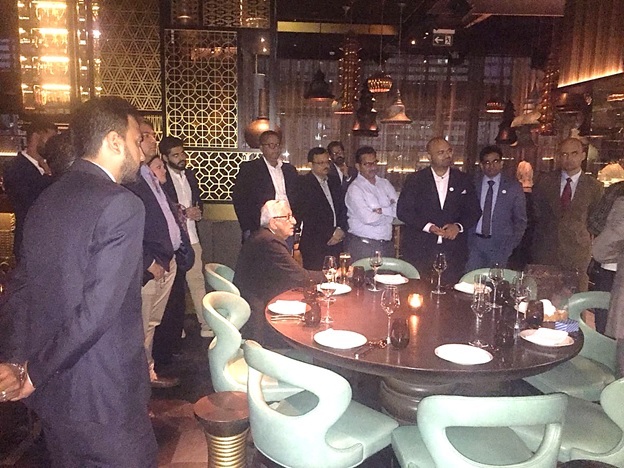 Middle East Food Forum, the UAE’s meeting place for all food service business owners and operators, hosted its much-awaited networking event with key individuals in the HORECA sector at the Tamba Restaurant, The Hub at The Mall (level 6), Abu Dhabi. Having previously established its mark in the F&B industry of Abu Dhabi through its co-location of the 2nd edition of MEFF with SIAL, the food forum has created a niche for budding entrepreneurs, chefs, marketing managers, suppliers and operators to meet some of the most renown personalities of the UAE HORECA segment. With a view towards the growth of the F&B industry in the region as well as International Tourism via food, the Middle East Food Forum provided a semi-formal platform alongside the Purple Honey Group to represent the up and coming as well as established and growing personalities, teams and brands in the region.